We believe we have a responsibility to give back, and do it effectively. At Campfire Labs we’re inspired by companies like Patagonia, Kiva, and Charity: Water that make the world measurably better. That’s why we decided to start a social enterprise instead of a company. (Read more about what that means here). Our purpose isn’t to maximize shareholder value or profits. Instead we see the money we earn as a way to fund ambitious projects that help the world’s poorest people out of poverty and prevent anthropogenic climate change. 50% of profits and equity go into the Campfire Impact Fund, a non-profit foundation that gives grants to organizations solving the important social problems. To date we’ve donated more than $50,000 to these projects, helped 15 people out of poverty, and funded important climate policy work. 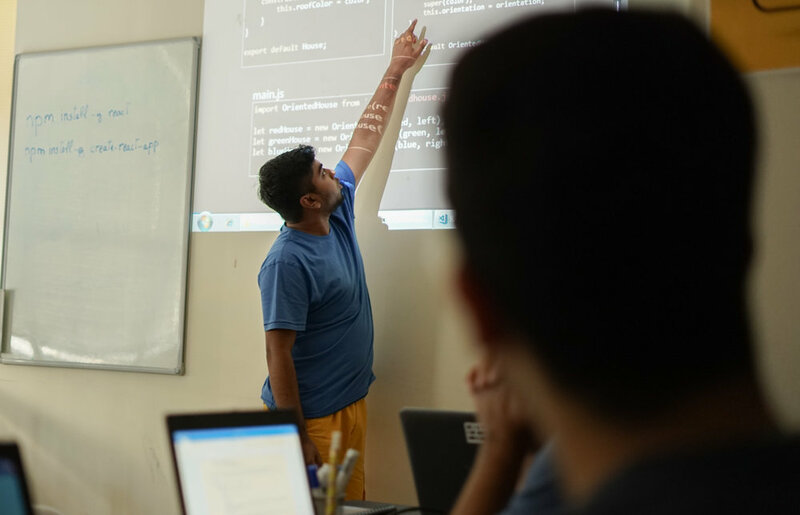 In 2017 we funded a code school for refugees. To date the school has helped 15 students and their families out of poverty. Anthropogenic climate change is the biggest threat facing our generation. We’re funding policy work aimed at retiring coal-fired power plants, funding renewable energy, and transitioning to a cleaner future. We’ll keep you updated on the work we’re doing and our impact.